You never want to leave a comedy show raging at the performer, but Rosco McClelland might make you angry. Something happened at an earlier show which meant he changed the whole format of the piece: it apparently used to be a feelgood hour, but now he's furious and the show is subsequently non-linear and a bit of a shambles. McClelland has Long QT Syndrome (aka Sudden Death Syndrome), which quashed his athletic ambitions when he was a teen. He never explicitly lays out what show we could have had but, using context clues, it would have been a run-of-the-mill 'I struggled with my mortality, then I grew up and I'm OK now' deal. But for now he's just mad at a lady who left his show in tears the other week because she had two kids who both died of SDS, and his show, understandably, brought up some upsetting feelings. He asks us 'was she out of order? ', saying he would have preferred they talked it out live on stage. It must be hard to reconcile your feelings about your own mortality, having thought you'd come to terms with it enough to write an Edinburgh show, only to have worries and insecurities resurface when you least expect, but McClelland takes an incredibly uncompassionate view of the situation. Still, he is a funny man: an anecdote about befriending a spider who hangs out on his window has a lovely shaggy dog ending, and he's capable and engaging when chatting with the audience. Here's hoping he turns things around, as How I Got Over could be an interesting show with a lot to say. Gilded Balloon at Rose Theatre, until 28 Aug, 10.45pm, £7.50–£9 (£7–£8). 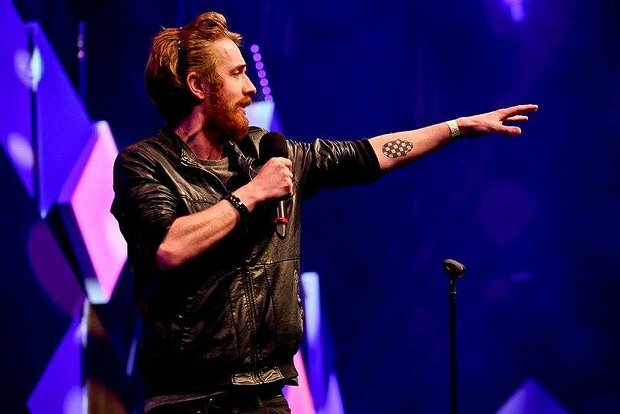 Gilded Balloon and Rosco McClelland present… Scottish Comedian of the Year Rosco McClelland delves deeper to find out what makes him tick, using psychedelic storytelling to traverse through a life-changing event. Expect clinical wit and a few shades of darkness from a sell-out show at the Adelaide Comedy Festival.